The first excursion, in CATIE (Tropical Agricultural Research and Higher Education Center), will provide opportunities to spot lots of bird species, including water birds like herons, egrets and sun bitterns. The second excursion, to the Biological Reserve Espino Blanco located at an elevation of 3610 feet above sea level, will surprise students with the variety of hummingbirds, toucans, motmots and with some luck, trogons! 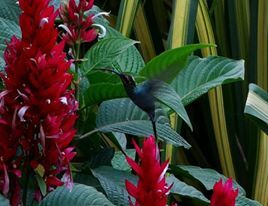 One hour specialized Spanish lessons in which you will focus on the different bird species that you can find in Costa Rica as well as vocabulary of forests, hiking and useful phrases while bird watching. The first excursion will take place on the Quetzal Trail and, depending on the time of year, you may see birds like the Three-wattled Bellbird, the Resplendent Quetzal, Wrens and the Fiery-throated Hummingbird. 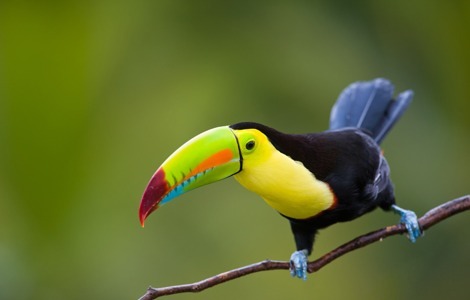 The second excursion will take you to a place known as the Continental Divide” (known as the one of the best bird watching locations in Panama) to see birds like Jays, Toucans, Aracari’s and Trogons. One hour specialized Spanish lessons in which you will focus on the different bird species that you can find in Panama as well as vocabulary of forests, hiking and useful phrases while bird watching.